The formation of high-energy solids, such as amorphous solids, also has the potential to enhance the rate of dissolution through increases in Cs. These high-energy solid forms have the potential to also provide effective concentrations of compound exceeding that limited by the saturation solubility of the compound with respect to its crystal form of the drug. These high level supersaturated (with respect to crystal) concentrations are often transitory in nature and result in the precipitation of the more stable crystalline form of the drug with time. These supersaturated concentrations of compound provide not only the potential for faster dissolution, but also provide a higher solution concentration and the potential to enhance the transmembrane flux where permeability is poor and the rate of flux is solubility limited. While the quasi-stable form of these types of amorphous solids or high-energy dosage forms can provide enhanced performance from an oral exposure perspective, it is this same meta-stable situation that can cause tremendous challenges with regards to reproducibly generating such solids and maintaining them in a high-energy state long enough to take advantage of their properties. The successful use of high-energy solids is generally linked to the use of some sort of stabilizing excipient. Potential pharmaceutical significance of amorphous solids were discussed by Hancock and Zografi (1997) and the advantages of formulating solid dispersions have been outlined by Leuner and Dressman (2000). The unintentional generation of amorphous or partially amorphous solids during synthesis and isolation of compounds at the lead optimization stage actually generate many challenges for the team, despite the high solubility and dissolution rate it may afford. The meta-stable properties of these materials can make it very difficult to obtain the same results with later preparations or even the same preparation at a later time. This metastable amorphous solid, that is not intentionally stabilized to form solid dispersions, is easily influenced by the mode of preparation of dosing vehicle, level and type of agitation, composition of the dosing vehicle and the time interval between preparation and dosing. 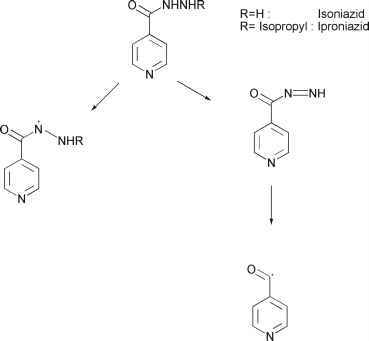 This is an example where it becomes important to avoid getting locked into an amorphous form of the drug during the optimization process without it being a conscious decision, with formulation strategies taken to support such an approach. The team must be made aware of the potential ramifications in later development should a compound with amorphous tendencies move forward.